Face the Facebook with Chat Heads! What is a Chat Head? Gone are the days when we used to write letters to stay in touch with our family and friends. After long waiting you get to know their emotions via letter as letter took 2-3 days. Within few years, time has flown at very high speed from writing letters to email and messaging and as the proverb says it all “change is the only constant thing in universe”. In the tech world, new discovery and inventions are done every day to make our lives simpler and more productive. 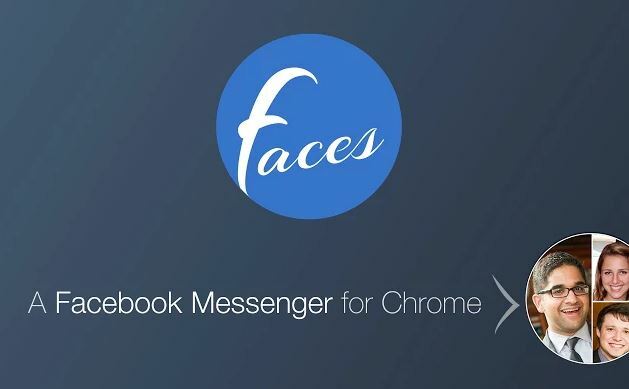 The latest trending chrome extension that is creating buzz is the creation of Faces.im, a Facebook chat head. Pack you seat belts as we are going to expand our knowledge about the chat head and will discover if it is worth downloading or not! The nice way of chatting, extension for new generation. Chat heads allows you to continue your chat with your loved one’s while you are using other apps. It allows you to read and reply in a very simplified form. You just need to tap your friend’s picture to view and reply and its done. It is simple easy and very efficient. The most appealing feature of the chat head is that when you click on chat head it doesn’t open a separate window for the chat, so you can manage your work and chatting hand in hand. OK, so what if you don’t want to respond and continue the conversation? The solution is simple you just have to click on the cross on your friend’s picture and it’s done! Faces.im is very different when it comes to conventional chat heads. And that is because it doesn’t interfere when you are surfing other pages. It doesn’t irritate you by opening a flaoting window especially for your texting. Instead Facebook message interface pops up in a different window. 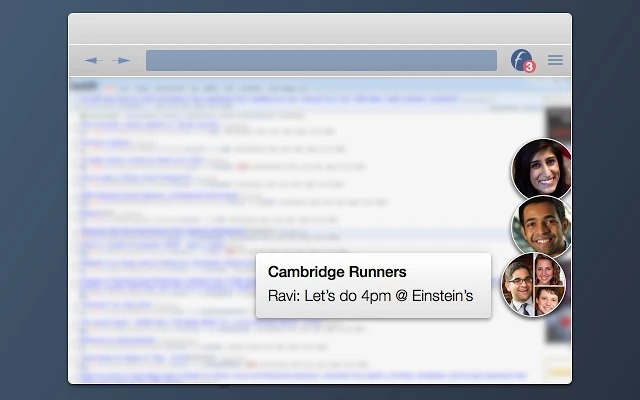 With that ease you don’t need to switch tabs and windows to enjoy your incoming Facebook messages. Also your notification and apps stay on top of all other windows making social life more comfortable. Summing it up, Faces.im with its chat head is trending and creating history all over the Facebook users. This extension is quite useful for getting in and out of the Facebook messages without actually leaving the tab you are working on, that is the current tab. So it is time to move and add another application to your smartphone because you just can’t miss on this. Add Faces.im to your Chrome browser now! Lost your phone? Locked out of Google? Worry not pass through Two-step authentication using backup codes! What does this Error “Your connection is not Private. This website uses HSTS” mean and how to fix?